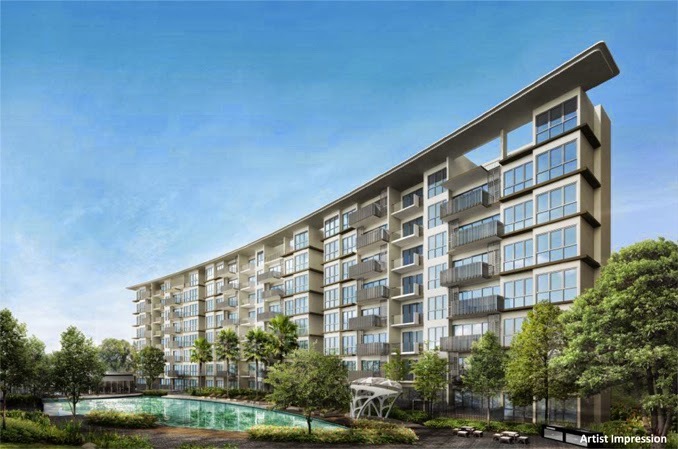 The Inflora at Flora Drive Singapore is a 99 years leasehold new Condominium in district 17, just beside Hedges Park Condominium. The Inflora estimated TOP is 31st March 2017 and comprises of 396 units. Located near Tampines MRT Station and future Tampines East MRT Station which is due 2017. 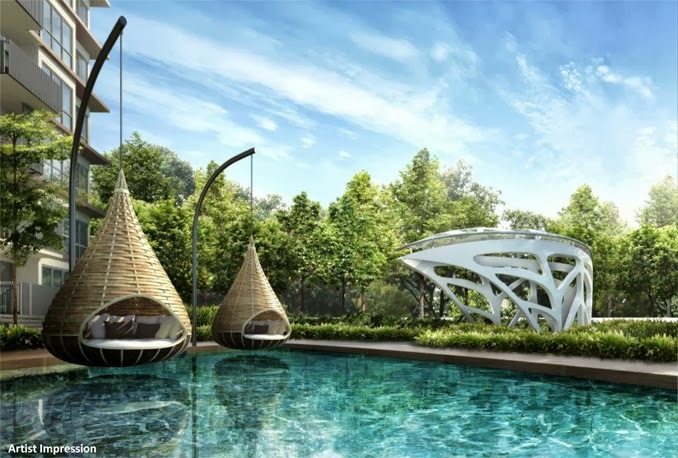 Facilities at The Inflora include swimming pool, BBQ, gymnasium, tennis court, clubhouse, and a playground etc. 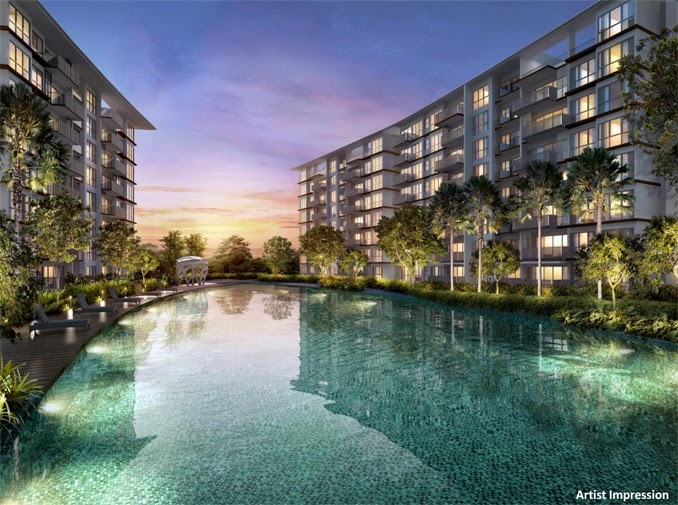 Amenities at The Inflora are at Tampines Central - shopping centres, restaurants, supermarkets, cinemas, banks and a library * Tampines Mart and Loyang Point. Treasure Tampines is nearby too. most affordable new condominium development in the East. A RARE Gem not to be Missed! 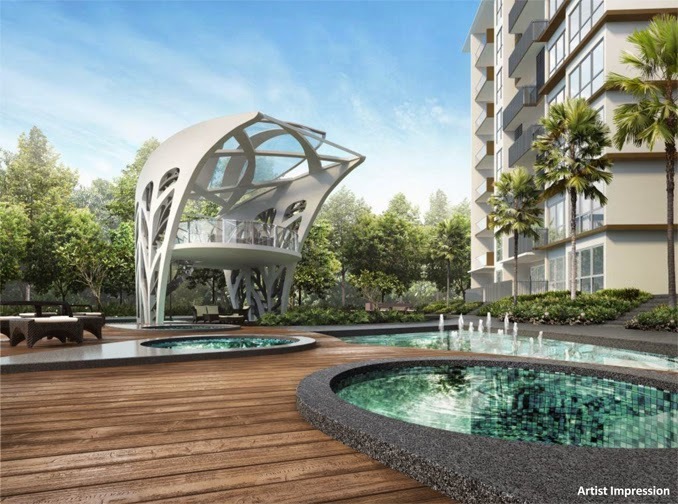 The Inflora units generally have north south orientation and most units faces at least a water feature. What is the potential of The inflora in the east? 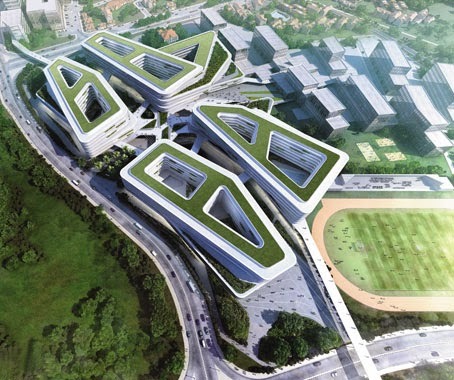 SUTD (Singapore University of Technology and Design) Permanent new Campus will be situated in Upper Changi East. It is expected to move in early 2015. Rental Potential: Tenant profile will be Oversea Students and Expatriates Lecturers. 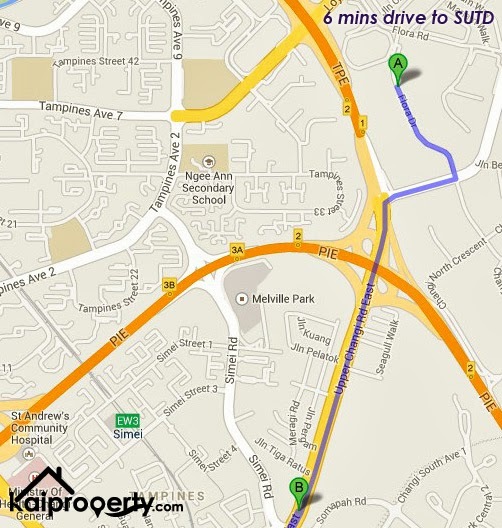 The Inflora, from Flora Drive is just 6 mins Drive to the Campus. Project Jewel is an iconic mixed-use complex such as The Wisteria is being planned at Changi Airport. 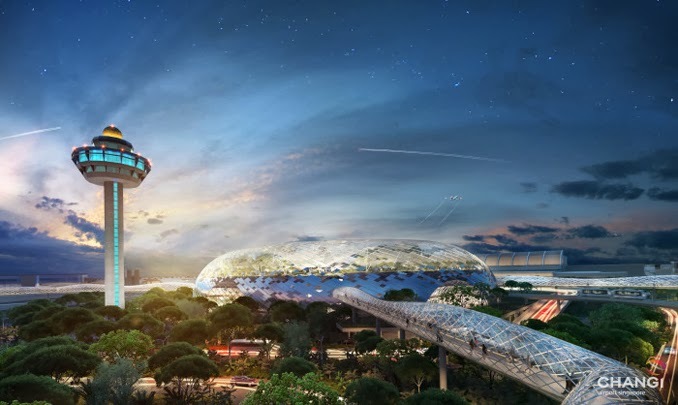 It is envisaged to be a world-class lifestyle destination that will strongly boost Changi’s attractiveness as an air hub. Redevelopment of T1 car park among Changi Airport’s key infrastructure projects to grow capacity and enhance its attractiveness as a global aviation hub. Also, a new Terminal 5 will be built by the mid 2020s to double the airport's capacity. The size of the new terminal 5 will be as big as today's Changi Airport. The airport and related services provide 163,000 jobs and account for 6% of GDP. 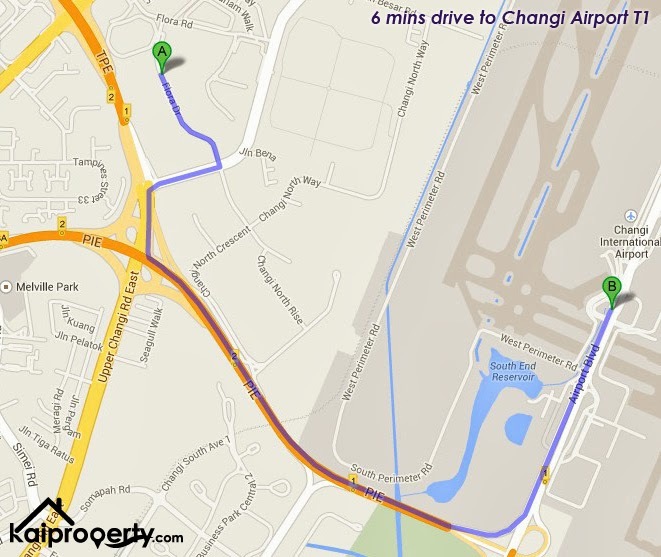 Rental Potential: Expatriates who works in Changi Airport. 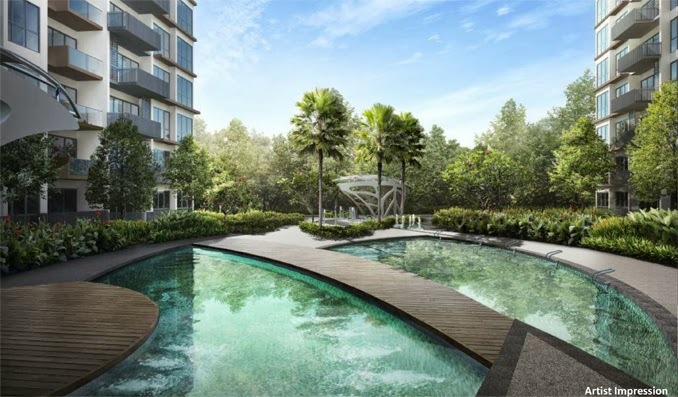 The Inflora, from Flora Drive is just 6 mins Drive to the Changi Airport. The new business model could see the 100,000sqm Singapore Expo facilities expanded to include retail, office and even hotel space. Rental Potential: Expatriates who works in Singapore Expo. 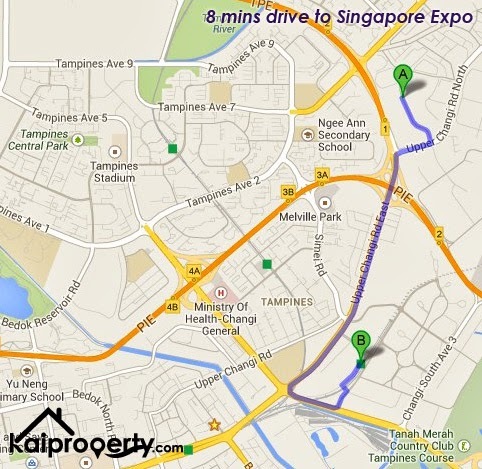 The Inflora, from Flora Drive is just 8 mins Drive to the Singapore Expo. With TDSR, many buyers are affected by the loan ruling. As such, The Inflora with with lower quantum, it will be easier for buyer to obtain the loan they require. With ABSD, lower quantum also allows investor to cut down the amount of stamp duty payable yet still able to own a unit. Foresee to have good rental yield, The Inflora 1 Bedroom can rent at approximately $2,000 per month. There is no worries about shopping! The Inflora is near Tampines Mall, Tampines One, Century Square, Changi City Point, Ikea/Giant/Courts Super Stores, White Sands. 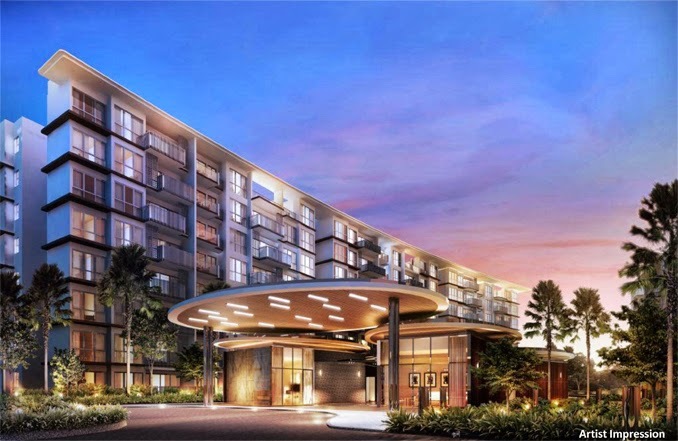 From Flora Drive, The Inflora is less than 10 minutes’ drive to Changi Airport, Changi Business Park, Singapore Expo Convention & Exhibition Centre, Tampines Regional Centre. There is also University/ International Schools in close proximity - Japanese School, UWCSEA, the upcoming Singapore University of Technology & Design and Overseas Family School. 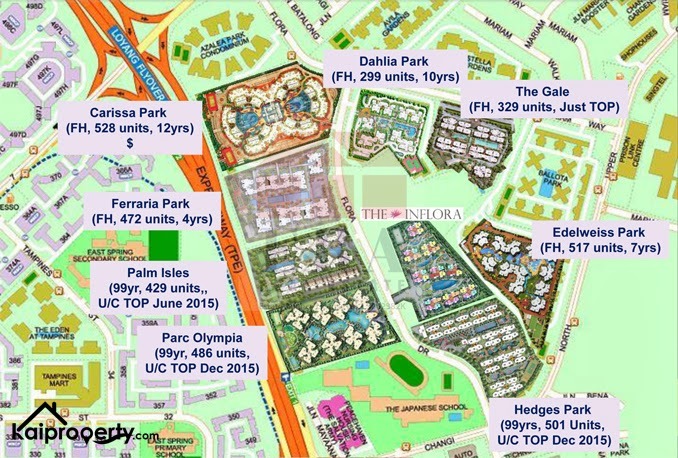 The Inflora at Flora Drive is well connected via PIE, TPE, ECP, providing excellent accessibility! The Inflora have good size bedrooms that can mostly fit at least a Queen size bed. No bay window, planter box or bomb shelter, efficient layout! 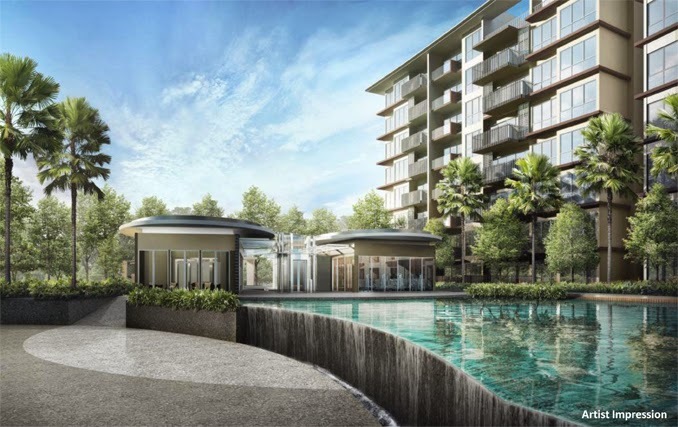 The Inflora is a Luxurious Private Condominium at Executive Condominium Prices! 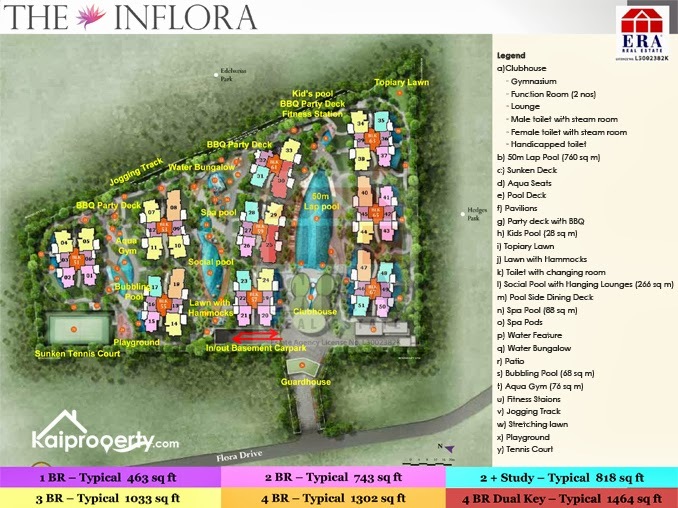 The Inflora Flora Drive is a 99-year leasehold new condominium development located at 51, 53, 55, 57, 59, 61, 63, 65, 67, 69 Flora Drive, in district 17. Expected to be completed in 2017, it will comprise of 396 units.